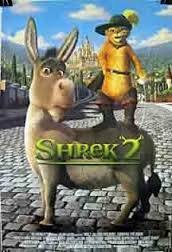 Brief Synopsis – Continuing adventures of Shrek and Fiona as they must travel to her parents following their Honeymoon. My Take on it – Like with most sequels, they do a fine job of continuing the adventures of the characters form the previous film. The jokes and references to other movies and pop-culture is abundant and it’s so much fun to try and catch as many of them as possible. The great voice cast from the original film returns along with the additions of Julie Andrews, John Cleese and even Antonio Bandaras. The story itself isn’t as clever or original as the first film, but they still manage to give us so many interesting parts that it doesn’t really matter much because it’s so much fun to watch unfold. Great music as always in these kind of films. Bottom Line – Does a great job continuing to give us a fun story along with lots and lots (and lots) of references to other films or pop culture. Great voice cast returns from the original with additions of Andrews, Cleese and Bandaras. The story itself isn’t as strong as the original, but it’s still a lot of fun to watch. Recommended!